The Travel Media Awards launched in 2015, celebrating the very best of the travel media sector. The Awards were created in recognition of the hugely influential role that today’s travel media plays in the holiday and business travel decision-making process. Open to all travel writers, broadcasters and photographers, the Awards are a true barometer of the travel media sector. 2018 saw the Awards reach new highs, with over 700 entries from across the media sector, both big and small, including some of the most recognisable names in travel media. Over 320 travel industry and media professionals attended the Awards ceremony at the ME London Hotel to see the winners crowned. Travel Media Awards have been created and are owned and operated under a joint venture agreement between Travega and APL Media Limited. 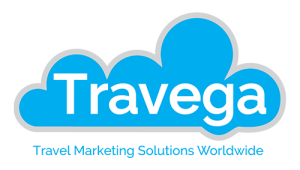 Travega offers a wide range of travel marketing and sales solutions for both the leisure and business travel sectors; these include delivering sponsorship revenues for some of the leading events in the UK travel industry, alongside third party management of events for other leading travel brands. APL Media Limited is a travel and lifestyle content agency, specialising in print, digital media, video and events. APL Media produces the award-winning National Geographic Traveller (UK) magazine, Postcards, Travel Trends and a series of lifestyle newspaper supplements, plus bespoke content.